Mafia 2 was a great game. A key aspect that made the game memorable was that the period setting was depicted unlike in any other game; American cities gripped by the mobs of the 40s and 50s were brought to life in a cinematic storyline, peppered with memorable characters and references to the time, such as outfits, vehicles and music. The atmosphere was rooted in the bustling (fictional) city of Empire Bay, which drew inspiration from major American cities of the time. But while the city certainly set the tone, there was a regrettable lack of immersion for the player, simply because, while the city was touted to be an open world, it was a very boring one. There was little to do except drive around, and find some collectables. To make Mafia great again, then, Mafia 3 needs to have a great open world. If Hangar 13 can build such a world with the fictional New Bordeaux – fashioned from the iconic late ’60s New Orleans – we could have an incredible game on our hands. Thankfully, the game seems to be on the right track. New Bordeaux is divided into 9 districts, with some distinct ones being the iconic French Quarter, dotted by crowded bars and jazz venues. This is the one that brings in that New Orleans flavour, and exploring its dark underbelly could make for a compelling narrative. There’s also The Harbour, which is the ‘very poor part’ of the city, probably a hotbed for crime. Besides, there are the wharf and docking districts (remember’s Vito’s short-lived attempt at working at the docs in Mafia 2?). It’s important that each of these districts feel distinct though; having a city to explore means little without something to discover in its nooks and crannies. Games like GTA and Just Cause give the player free reign, and that is its own sort of freewheeling fun. But Mafia, with its more serious themes, might do well along the lines of Sleeping Dogs, an underrated open-world crime/revenge tale. 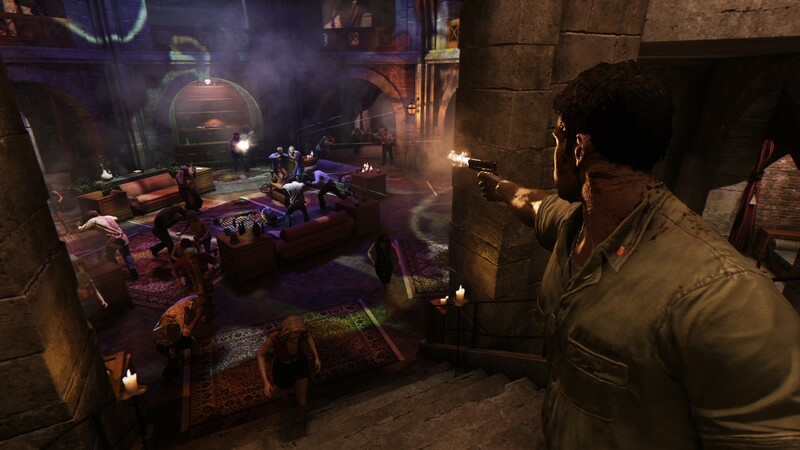 There are plenty of activities and side quests scattered through the map, but also a certain funneling towards missions that progress the story, as is the stated goal of the Mafia 3 devs. This is corroborated by a detailed depiction of Hong Kong’s glitzy neon undercut by ultraviolent organized crime. The visuals here seem to be set. The city feels alive, and the art direction, like in Mafia 2, is faithful to the period it describes. The lighting is gorgeous, and graphical fidelity brings the action to life. Still, we haven’t seen enough to see if this template has translated well to the entire game world. I’ve played many open world games that try too hard to make them bigger in terms of area, only to lose out on actual content. To keep the player in the heat of the moment, especially in a revenge-driven game such as Mafia, a taut, deliberately planned city is vital to keep the pulse up. What’s important is how the player is engaged with the world. In Mafia 2, I was told there was this massive crime mob in every part of the city, but driving around, I wouldn’t know. 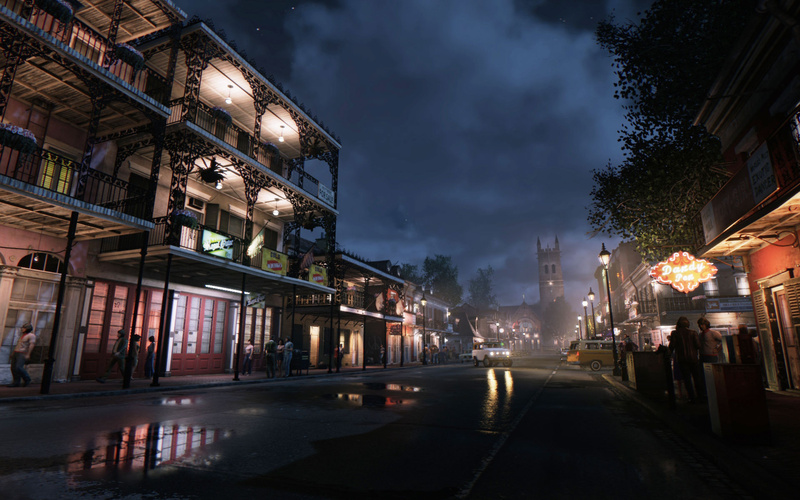 The devs for Mafia 3 have reassured us that they’ve taken steps to fix this, and you’ll find criminal rackets and hideouts to bust, and more ways to engage with the ‘criminal ecosystem.’ But I hope to see the crime playing out on the streets of New Bordeaux in plausible ways: street brawls, discrete drug deals, altercations with the cops and more. I don’t want my character to be the only instigator in this vast criminal machine. Finally, the driving. This may not seem directly connected to the open world aspect, but it counts. Successfully navigating the roads in Mafia 2 was a chore, and didn’t allow for actually enjoying the roads, and the city. You were too busy trying to get the damn car to stay on the road. This wasn’t helped by all the driving you had to do to-and-fro missions. This comes back to the content: the travel could be made more interesting with a more engrossing world. I’ve stopped in the middle of a road many a time in other open world games to check out something interesting, but never in Mafia 2. This made the long travel distances redundant. Realism is important, but this is still a game. A game shouldn’t strive for realism at the cost of fun. Mafia 3 seems to be keen on fixing many of these issues, as the devs have asserted in their gameplay narrations. If they build a colourful open world in New Bordeaux while staying true to the Mafia spirit, I believe we could have one of the greatest crime open-world games, in our hands. Fingers crossed. 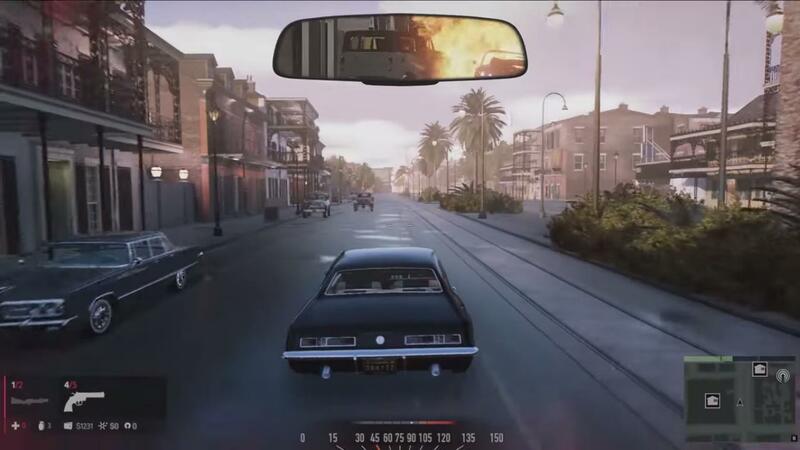 Mafia 3 is out on October 7th, 2016 for PC, PS4 and Xbox One.